Though the deep interior of the Earth (and other terrestrial planets) is inaccessible to humans, we are able to combine observational, experimental and computational (theoretical) studies to begin to understand the role of the deep Earth in the dynamics and evolution of the planet. This book brings together a series of reviews of key areas in this important and vibrant field of studies. A range of material properties, including phase transformations and rheological properties, influences the way in which material is circulated within the planet. This circulation re-distributes key materials such as volatiles that affect the pattern of materials circulation. The understanding of deep Earth structure and dynamics is a key to the understanding of evolution and dynamics of terrestrial planets, including planets orbiting other stars. 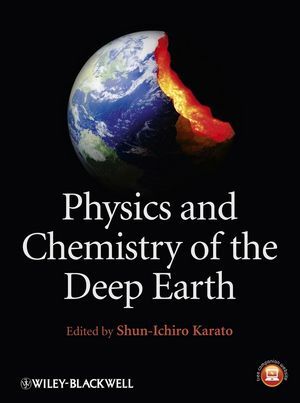 This book contains chapters on deep Earth materials, compositional models, and geophysical studies of material circulation which together provide an invaluable synthesis of deep Earth research. Readership: advanced undergraduates, graduates and researchers in geophysics, mineral physics and geochemistry. Shun-ichiro Karato is an Earth scientist who conducts interdisciplinary studies encompassing mineral physics and geodynamics. He received his degrees from the University of Tokyo, and held faculty positions at the Universities of Tokyo and Minnesota, before moving to Yale University in 2001. He has received several awards, including the Japan Academy Award, the Vening Meinesz Medal and Birch Lectureship, and has authored some 200 publications, including 7 books.